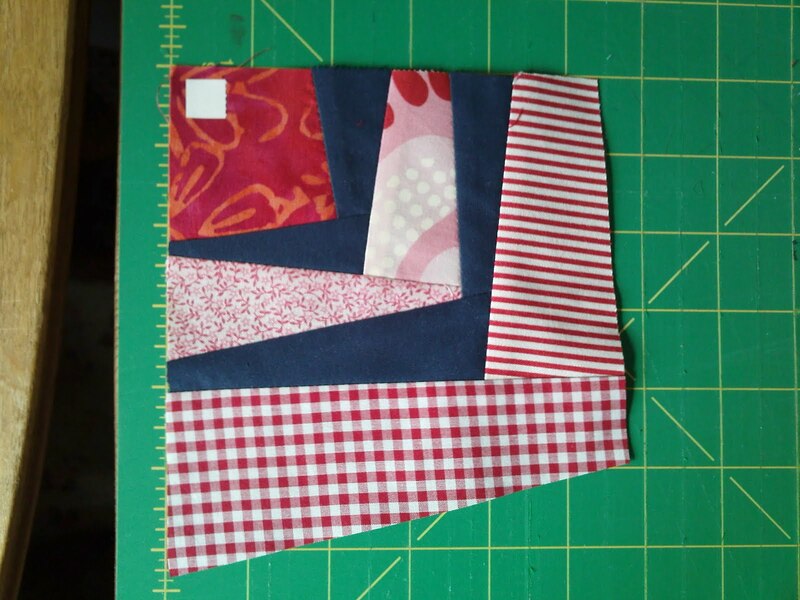 As promised, here is a tute on how to make this block, which I made for Sarah in the monthly Brit Bee. I’ve called it ‘Wonky Corners’ because I couldn’t think of anything else! But if this block has a ‘proper’ name, please let me know! 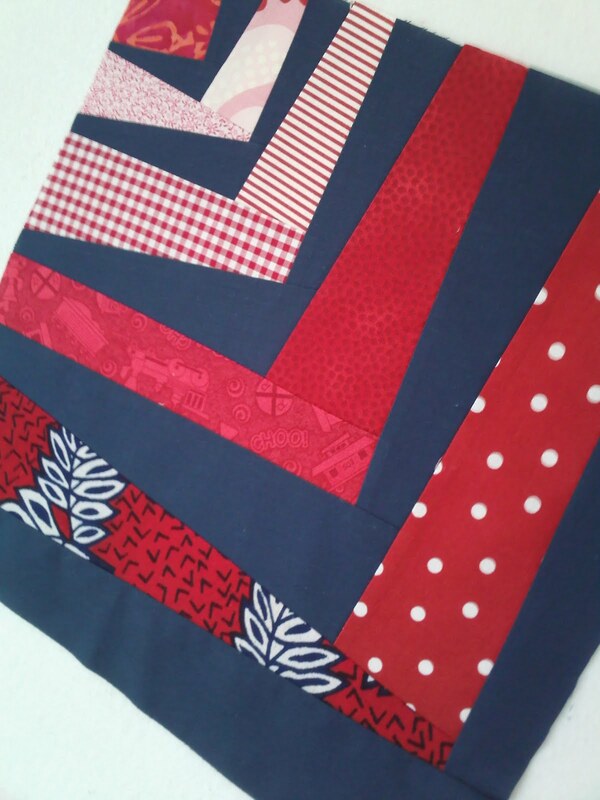 The effect of this block is achieved by alternating coloured strips with a dark solid (black in Sarah’s block, and navy in this tutorial example). It works up to 12.5″ finished. 1. 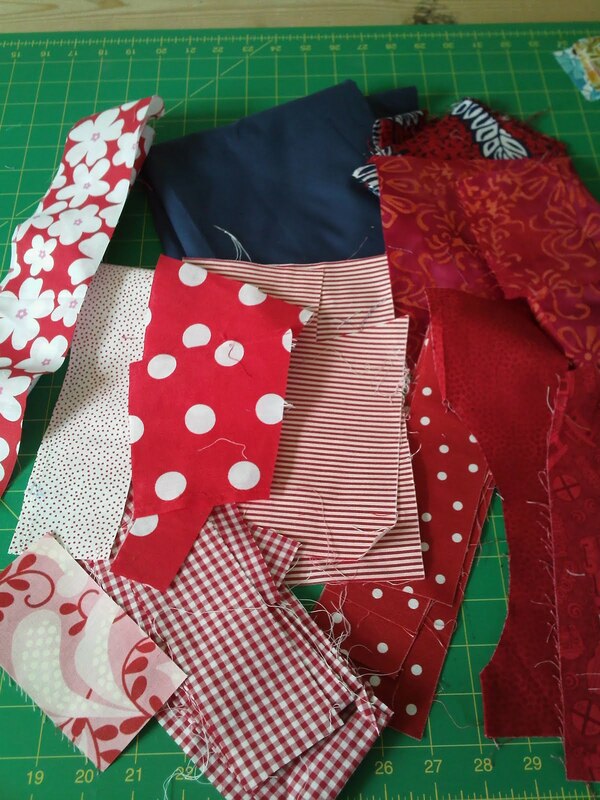 Gather together scraps of fabrics. 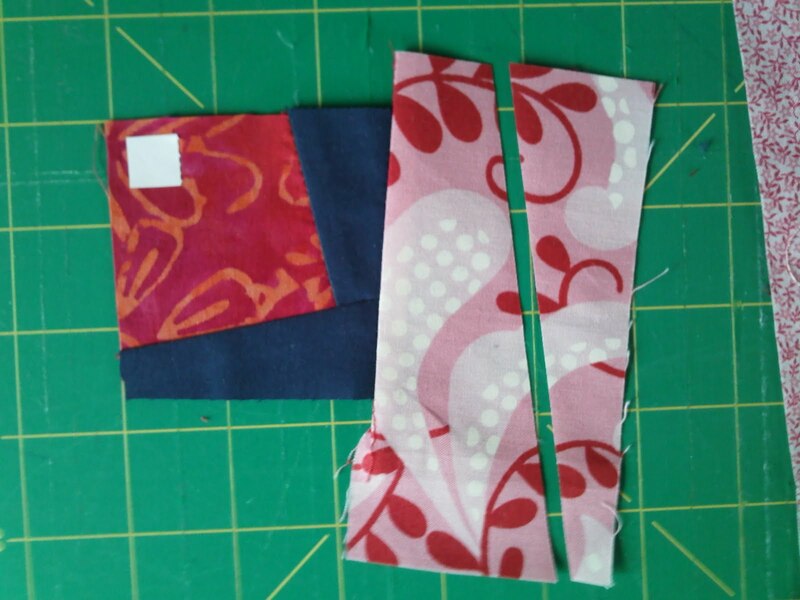 Varying lengths are good, and you could also use jelly roll strips. 2. 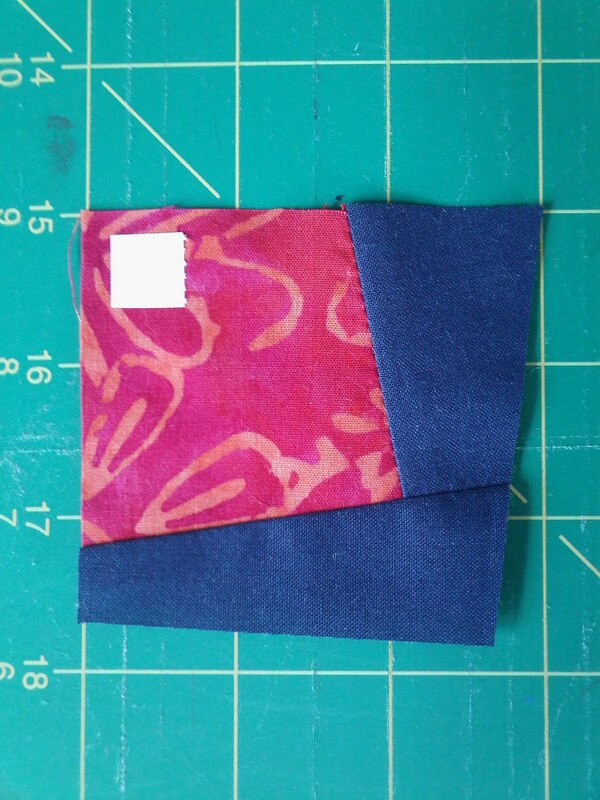 Start with a 2.5″ coloured square. 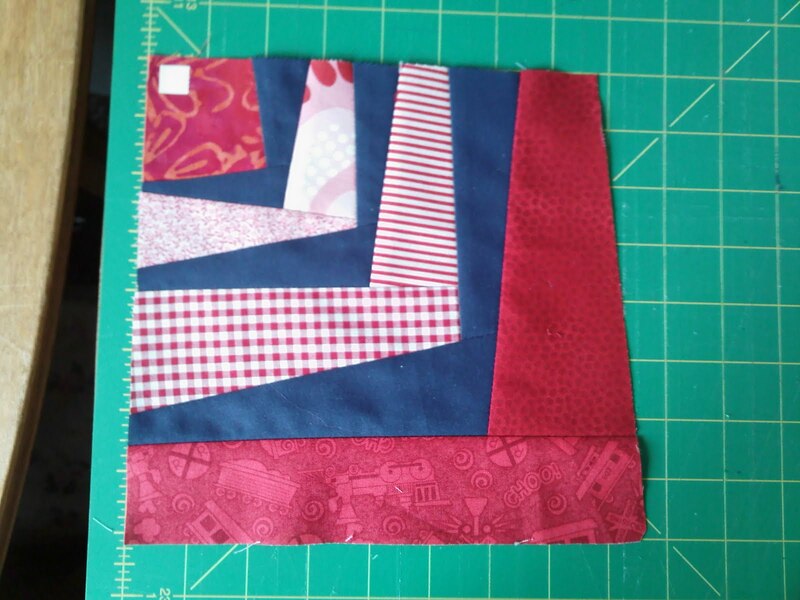 Try to keep this in the same position – I keep mine to the top left hand corner of the block, and add strips to the right & bottom edges. 3. Angle the side of the starting square by approx. 0.5″. 4. 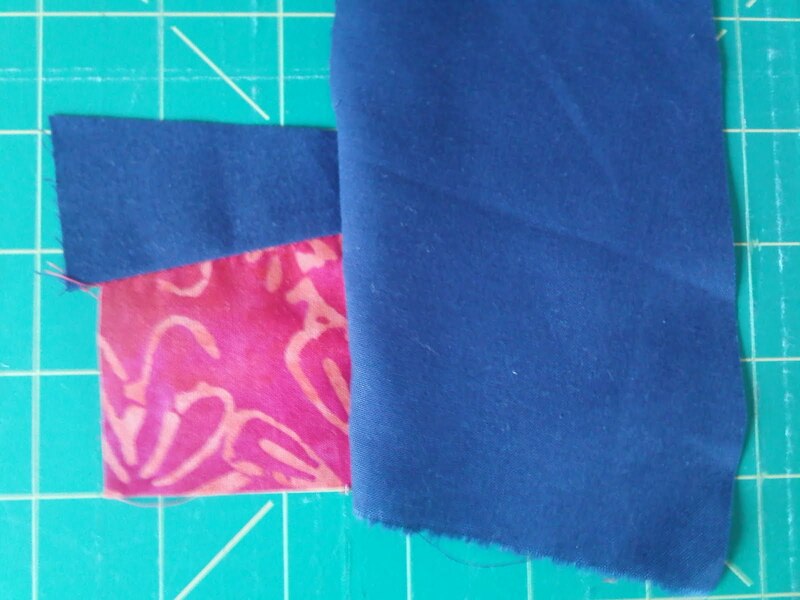 Pin a strip of dark fabric to this wonky edge. Flip it over to make sure that it will pass the top edge of the starting square. 5. 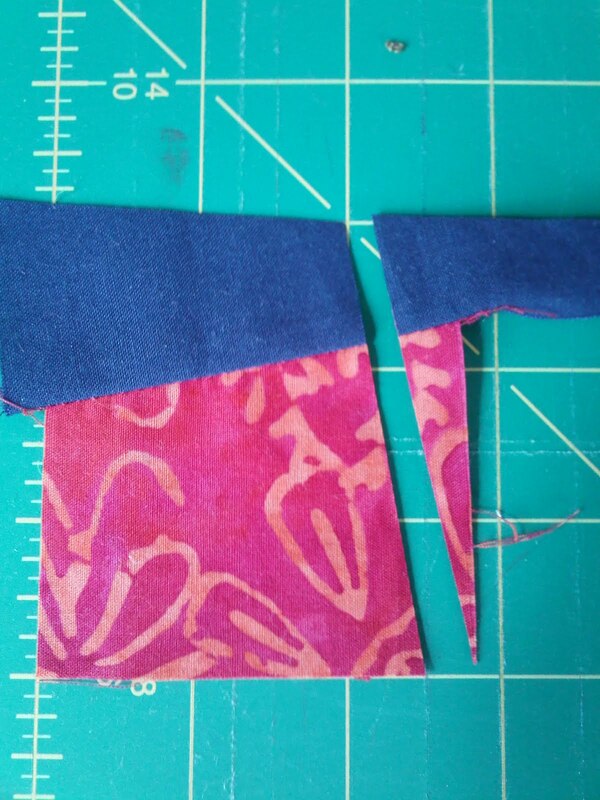 Once in position, sew a 1/4″ seam along the edge and press the seam away from the starting square. 6. Position the piece back on the cutting mat, making sure the starting square is lying square on the mat. Angle the side of the first dark strip & also the bottom edge. 7. 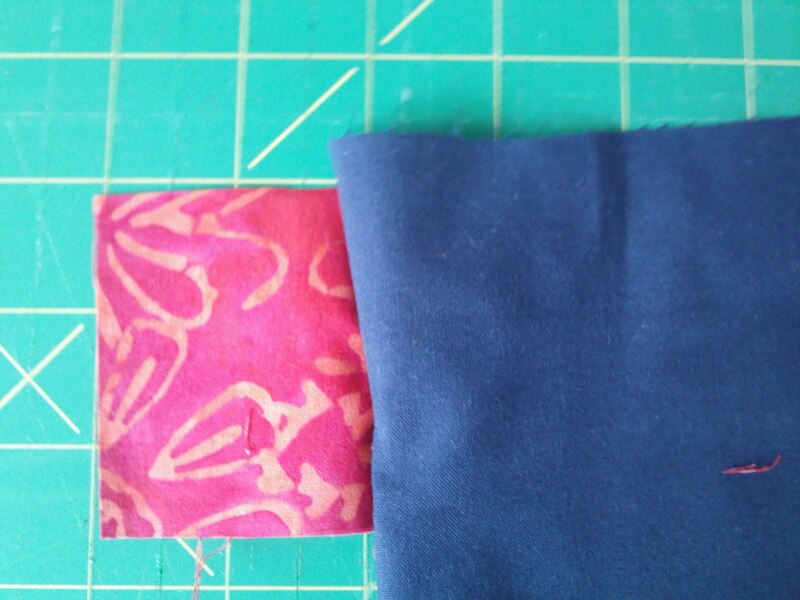 Now pin, position & sew the 2nd dark strip along the bottom edge. Remember to overhang the dark strip slightly beyond the outer edge of the starting square. Again, iron the seams away from the starting square. 8. Angle the side of the 2nd dark strip and square off the opposite 2 edges – these are the edges which include the remaining raw edges of the starting square. 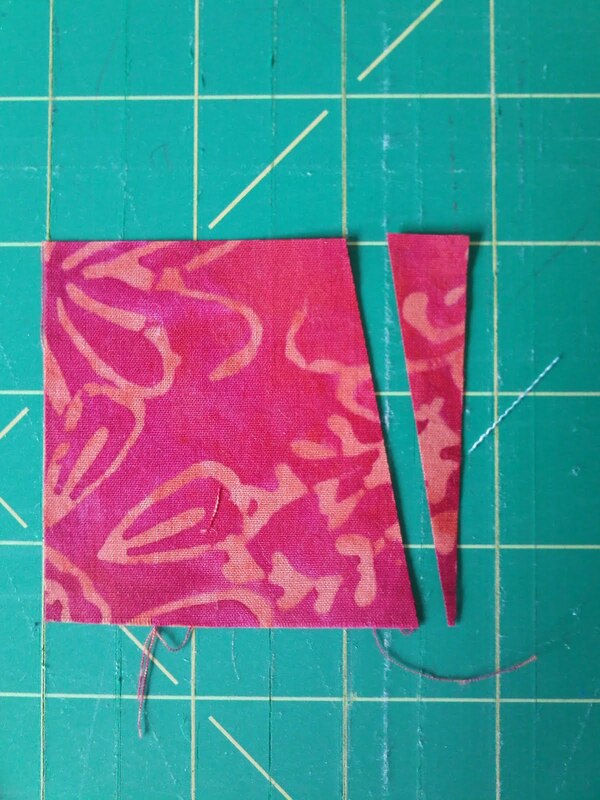 They are the measuring point for keeping these outer edges square. I like to put a sticker in the left hand corner of my starting square to remind me to keep these 2 edges square. 9. Now add 2 more coloured strips in the same way as before. 10. 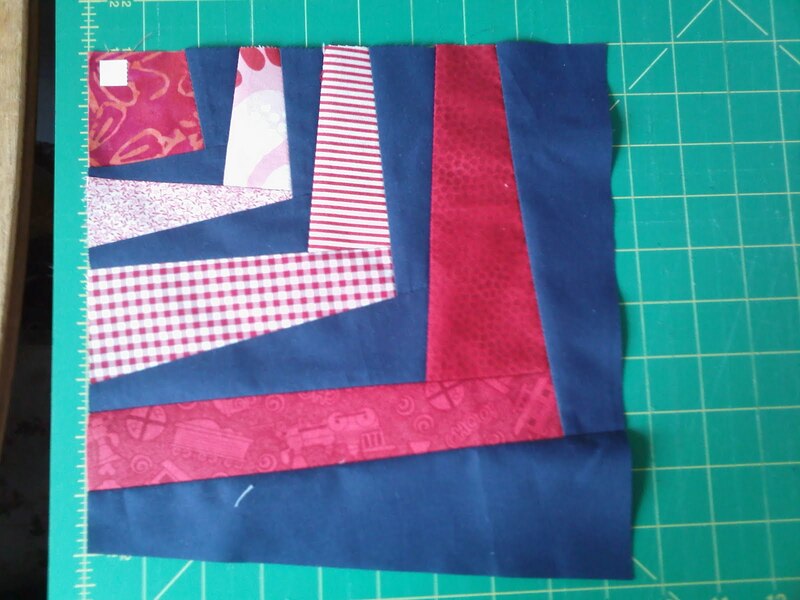 Angle them, square off the outer edges, before adding another row of dark solid. 11. 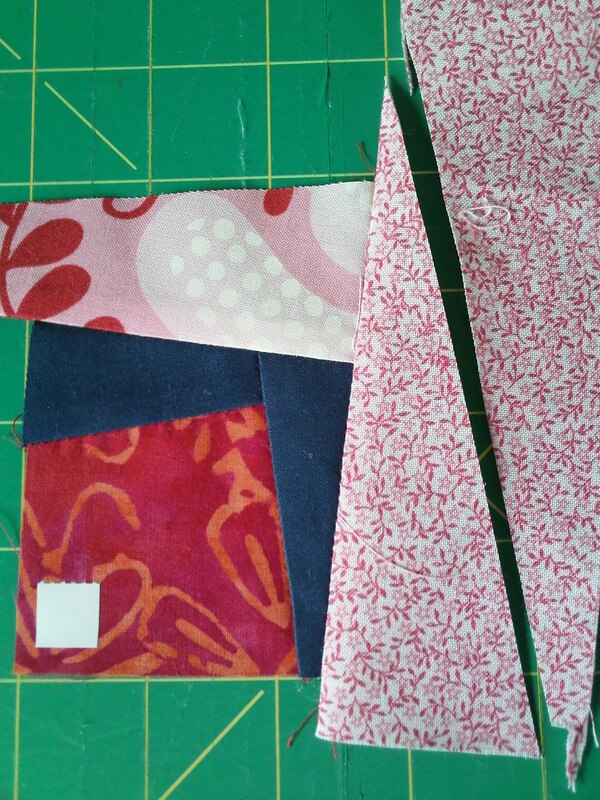 Continue adding alternate rows of coloured & dark solid fabrics, increasing in width as the block gets bigger. 12. 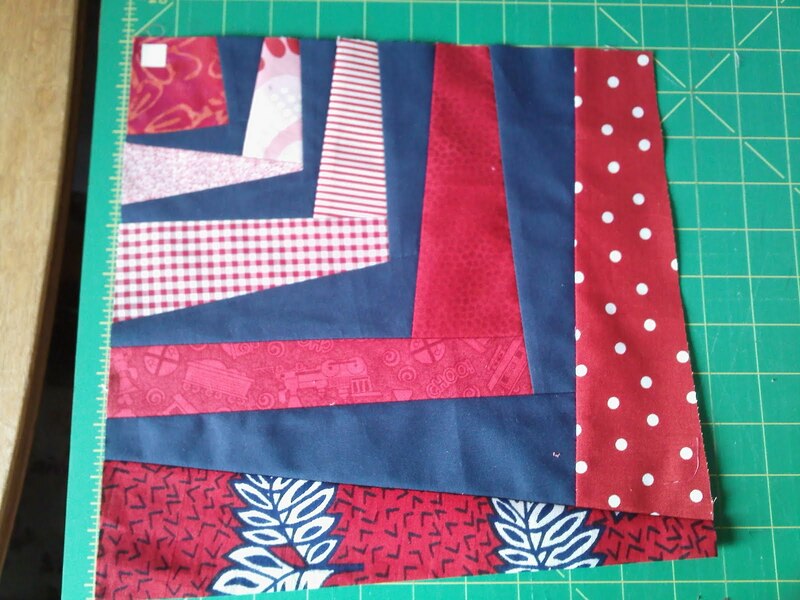 I stopped adding strips when I got to 12.5″ and then squared off the entire block. However you could stop or continue to whatever size you choose. 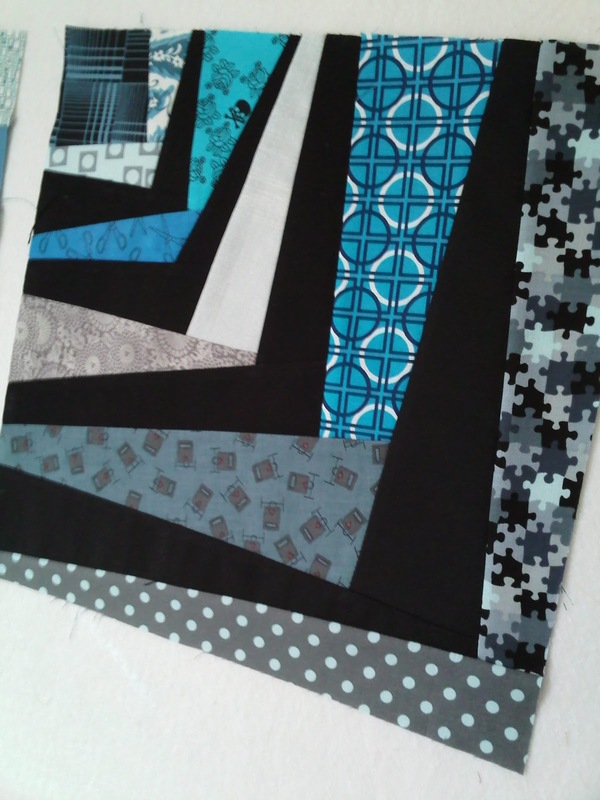 Variations to this block could be ..
* not having contrasting solids at all! I would love to see your version of this block, should you decide to have a go. Please send me a pic of your finished block, and I’ll put up a mosaic of all of them on my blog to inspire others to have a go!